Whether your project is in need of a Felco Roller Compaction Bucket, Vibratory Compaction Bucket, Bedding Conveyor, or a custom fabricated Specialty Attachment or Bucket, you need to know the equipment you are using is not only going to get the job done, but that it gets the job done on time, is done right, and is made for that particular job. 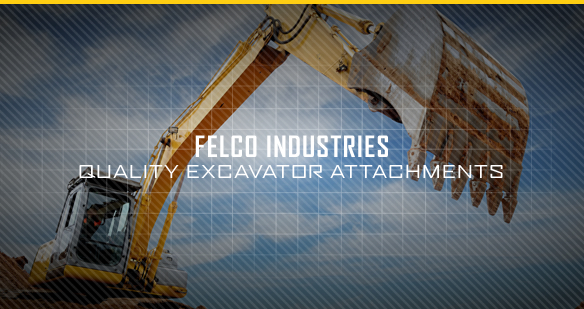 When you use equipment from Felco Industries, you can be assured that you have that. Every time. FELCO’S NEW V BOTTOM FROST BUCKET : PUSH WINTER ASIDE. 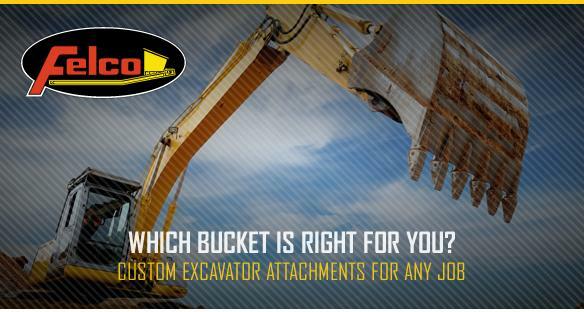 Your excavators and backhoes are only as good as the buckets attached. In other words, the right bucket makes all the difference. Which is why we here at Felco are proud to introduce our new V Bottom Frost/Rock bucket for backhoes and excavators, designed to improve digging performance when dealing with the difficulties of soils compacted by deep frost. Our frost bucket penetrates the ground with as little resistance as possible, reducing the strain on your machine. This in turn lowers fuel costs because the bucket digs easier with less drag, as well as lowers servicing costs because your excavator isn’t working as hard. Felco takes the same approach in manufacturing its frost bucket as it does for all its attachments, Extreme Quality for Extreme Conditions. 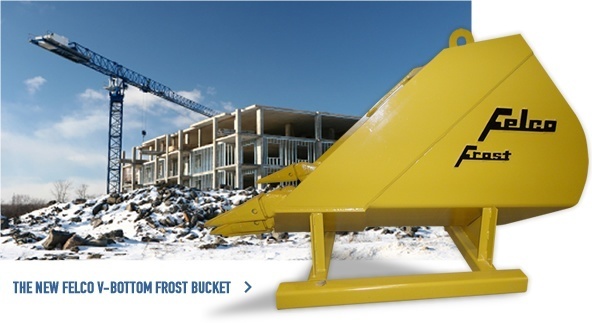 – Our frost buckets are built with heavy duty materials for increased strength and durability. – Short pin to point bucket design improves penetration and increases digging power. – Positioning of the teeth helps reinforce the corners of the bucket and allow the best clearance and optimum taper without excessive tooth wear. – Our frost buckets are delivered with teeth, adapters, and bucket pins. – Custom sizes and dimensions are available upon request. Our frost bucket is a welcome addition to Felco’s specialty buckets. We look forward to hearing about how this bucket increases the productivity and performance of your excavator or backhoes. For questions regarding our specialty buckets, please contact us at 1.800.235.4651 or click the contact us button below.